- Most of the benefits lie in the ultra-light On/Off fibre, of which the garment is made. While climbing, it brings you the oxygen you need whenever you need it. - On the descent, the fabric has a sheathing effect: it protects you from the cold and wind so that you maintain yourself on the bike in full strength. - Whether you climb or descend, the top always stays in place thanks to the silicone waistband. 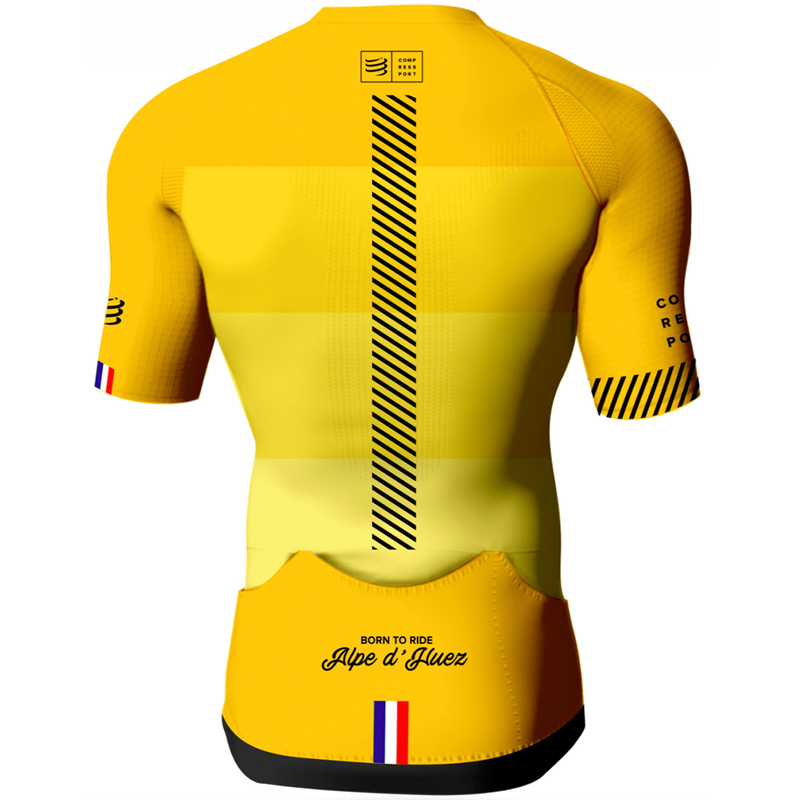 - Your cycling shirt ensures that you maintain the best posture and that your shoulders stay aligned. - The neck zone is kept unstrained as the T-shirt’s neck is slightly raised. The zip does not hinder movement. 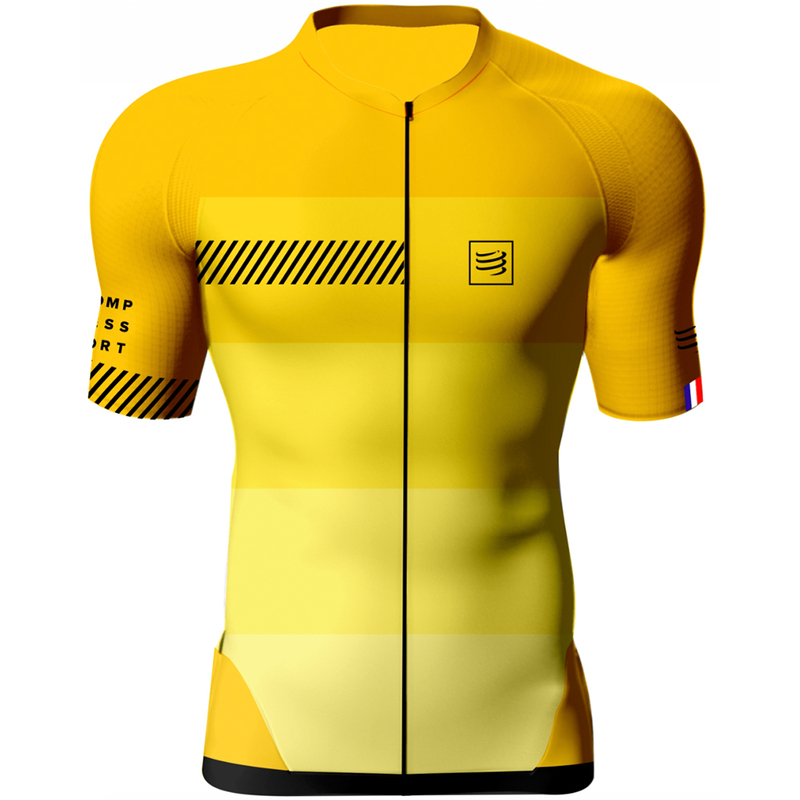 - This cycling shirt retains neither moisture nor sweat and you stay in dry even if it is very hot outside. - It is fitted with 6 clever pockets, easily accessible, to store gels, nutrition and phones.